Future nurses waiting for their nursing pins. Nearly all of us would like our profession to match our life passion, but many of us fall short in this regard. We tend to focus too much on nurturing our talents and sharpening our skill acquisition when we should actually be thinking strategically. Inspiration, needless to say, needs to always be with us, but we also need a plan that we can reasonably execute for the purpose of turning our passions into careers. In the case of nursing, traditionally one of the most virtuous callings individuals can follow, you can always count on inspiration. Nursing is a professional field that combines compassion with wisdom, strength with a desire to serve communities, and lifelong dedication. When it comes to direct patient contact that actually makes a difference, nursing is the profession that accomplishes the most in clinical settings. Providing care to patients who need a human touch is not only a noble way to make a living, it can also be deeply rewarding in terms of salary and career advancement options. There are various ways you can translate your passion for healthcare into a professional career. In the early years of professional nursing formation, students at St. Thomas Hospital in London were expected to follow a single academic program with a practical fellowship that often resulted in assignments to battlefield medical facilities; this was during the days of Florence Nightingale, the woman who first established the high level of professionalism that nurses are known for. By the time the British Nurses Association was founded in 1887, the focus shifted from preparing nurses for war to training them to serve in civilian hospitals, and more flexibility was introduced in terms of instructional programs. Since then, prospective students have been able to explore and pursue various paths towards completion of nursing degrees, some of them more direct and streamlined than others. All of the nursing licenses above will require you to complete a training program that includes both an academic curriculum and a nursing practicum. Two of the licenses require a master’s degree: clinical nursing specialist and advanced RN practitioner. Certified nursing assistants do not have to pass the National Council Licensure Examination to obtain a license; the rest of the licenses professionals will have to pass this test. While you could start your journey towards the nursing profession with a Patient Care Technician certificate that will allow you to start working in a healthcare setting with just 20 credits and 120 hours of clinical practice, this is not the most expedient route towards obtaining your RN license in Florida, which is what you should really strive for. If you are unsure about which nursing career path is right for you, feel free to get in touch with one of our career counselors; in the meantime, please read below to learn more about why you should pay closer attention to the RN path offered by FNU. Median pay: $70,000 per year. Expected demand from now until the year 2016: 15 percent. Median pay at government facilities: $75,900. Once we start looking at nursing demand in the Sunshine State, we know that the ongoing shortage has raised concerns in Tallahassee, where the Florida Legislature is looking to pass laws that will offer more scholarships and economic incentives to students who intend to pursue RN licensing. For the fiscal year ending in 2019, the RN shortage in Florida is expected to reach 500. The BSN program offered by FNU is the right choice for many nursing hopefuls looking for an accelerated path towards RN licensing. With a graduation requirement of 120 credits, students can start working on their general education courses, many of which can be completed online, every eight weeks. As for the nursing core courses, they start during the winter, summer and fall semesters, thus providing you academic flexibility you will certainly need if you are looking to balance work and family life. 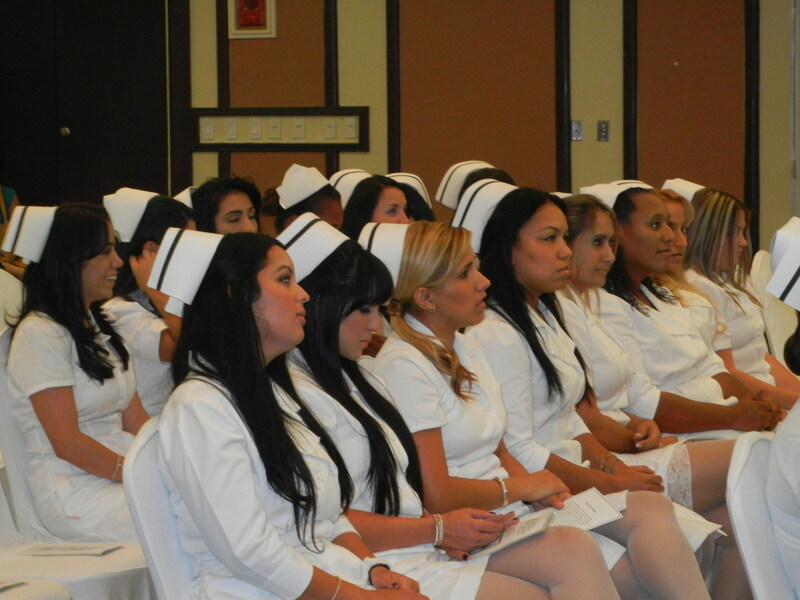 The Nursing Division at FNU is duly accredited to grant degrees by the Florida Board of Nursing. The BSN program is recognized by the Commission on Collegiate Nursing Education. Students who graduate from the FNU BSN program can rest assured that their degree will satisfy the training requirements they need to get their RN license in Florida. Aside from flexible class schedules and online education, FNU also offers students financial aid and scholarship opportunities that can make it easier to cover the tuition of their accelerated nursing students. Financial aid offices can be found in both the Hialeah and South campus locations. Once you get your RN license, you should not have any problems finding a job; however, if you would like some assistance in this regard, the staff of FNU’s job placement department would be happy to help you. Your idea of an accelerated program may be different than what the BSN program offers; if this is the case, contact one of our career advisers to inquire about other healthcare education opportunities you may be interested in.